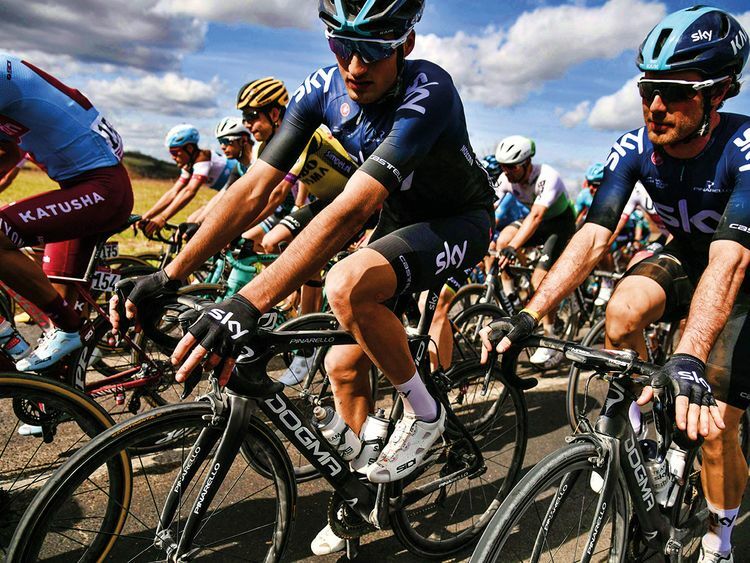 London: Chemicals giant Ineos, owned by Britain’s richest man Jim Ratcliffe, is set to become the new sponsor of cycling’s Tour de France-winning Team Sky, according to media reports on Monday. The hugely successful team, founded in 2010 with the ambitious goal of securing a first Tour de France victory by a British cyclist within five years, have won eight Grand Tours since 2012. Bradley Wiggins, four-time winner Chris Froome and Geraint Thomas have all triumphed on the Tour de France with Sky. Froome also won the Vuelta a Espana and Giro d’Italia. Ratcliffe, chief executive of the country’s largest private company, topped last year’s Sunday Times rich list with a net worth of 21 billion pounds (Dh102.45 billion).